We are a full service locksmith plus a security hardware store! 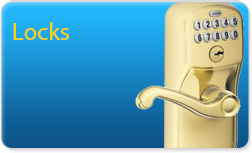 We’re a locally owned and operated locksmith company in Mountain View. We specialize in excellent service at competitive prices. 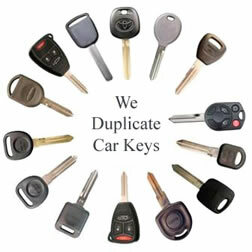 …and yes we do duplicate keys. In fact, we have the largest selection of key blanks in the area. Kwik Key opened its doors in 1970, we have been providing excellent service ever since. We offer on the road service as well as having a real store. 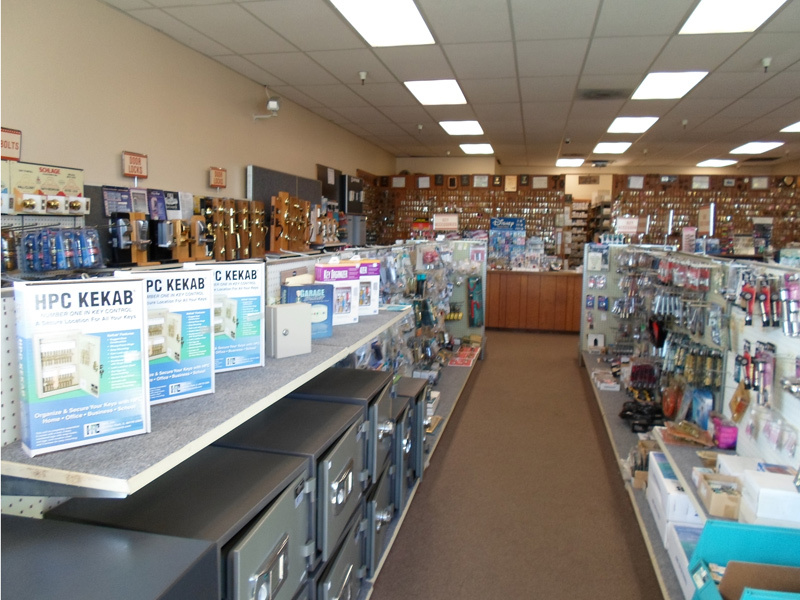 Our large showroom is filled with locks, key rings, key tags, safes and all kinds of security hardware. With over 40 years of experience serving the Bay Area we have an established reputation for expertise, integrity and great prices. Our fleet of vans and team of experienced locksmiths are ready to re-key, repair, replace, open or install. For security service you can trust, call Kwik Key. We are located in Mountain View, CA, on the corner of El Camino Real and Clark Ave.
Every one of our dedicated, experienced locksmiths is fully insured, bonded and certified by the state of California. In addition to being expert locksmiths they are nice guys. We have several employees who have been locksmiths for over 20 years. 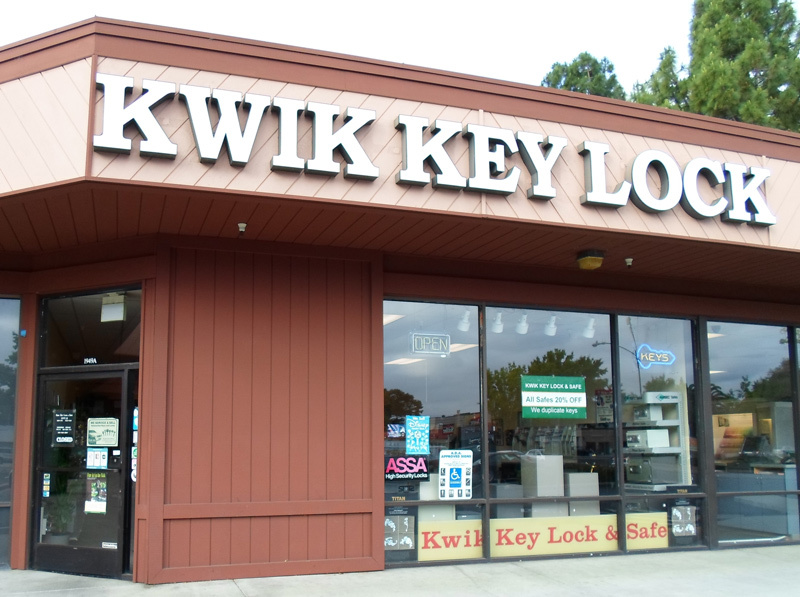 Two of our locksmiths (owner Alan Evans and his brother) have been with Kwik Key since shortly after it was opened in 1970 by Joe S. (a retired Palo Alto police officer). Established in 1970. With over 40 years as a local business we provide exceptional services at very competitive prices. Among them our team of trained technicians has over 150 years of locksmith experience. We are locally owned, fully insured, licensed, and bonded. We have been serving the South Bay for over 40 years and have an established reputation of integrity and reliability. Our store in Mountain View is an anchor for our fleet of service vehicles. We have an actual store location, so you know we will be here when you need us again. Unlike some locksmiths who only have mobile service we have a store. Don’t risk your security with a locksmith you may not be able to find tomorrow. We work hard to keep our prices very competitive. Whether you hire us for locksmith services or make a purchase at our store, you can be confident you will be getting a fair and very competitive price. 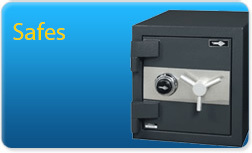 Safes are sold at 20% off list price. Gun Safes are 30% off list. Most of our locks and hardware are also well below list price. These guys are the best. I have come here for work and for my personal key copying needs. This is my go-to, trusted company for locks and keys. WAHOOO!!!! Fast, easy, good service (not to mention a good selection, obviously). Thank you, thank you, thank you, Kwik Key! 1/3 of the price dealers charge. If you have a hard-to-find key, bring it to us. We have the largest selection of key blanks in the area. We specialize in hard-to-find keys, so bring yours to Kwik Key, even if other places have failed to make a good copy. We also install and repair door closers and exit hardware (panic hardware). Have you lost the keys to your desk, file cabinet or door? Call us we will make a key for your lock. 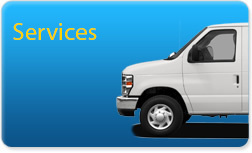 Our fleet of service vehicles and experienced locksmiths allow us to give great service in a timely manner. We’re also friendly and courteous! 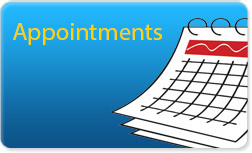 Most appointments can be scheduled within a 1 hour window. 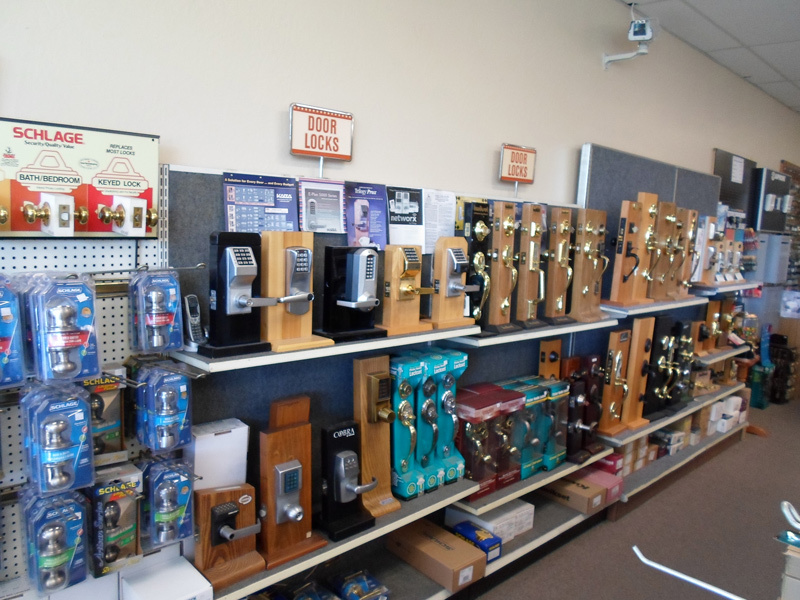 We carry a large variety of safes, commercial hardware, door closers, residential locks, security hardware, padlocks, automotive locks, electronic-keyless entry hardware, Swiss Army Knives and much more. Whether you are looking for one new front door lock or buying card entry locks for an entire building, you will like our knowledgeable staff and our great prices!!! If we don’t have what you want in stock, we can order it for you–most locks arrive the next day. Safes and specialty items take 3-10 days. Back orders take longer. 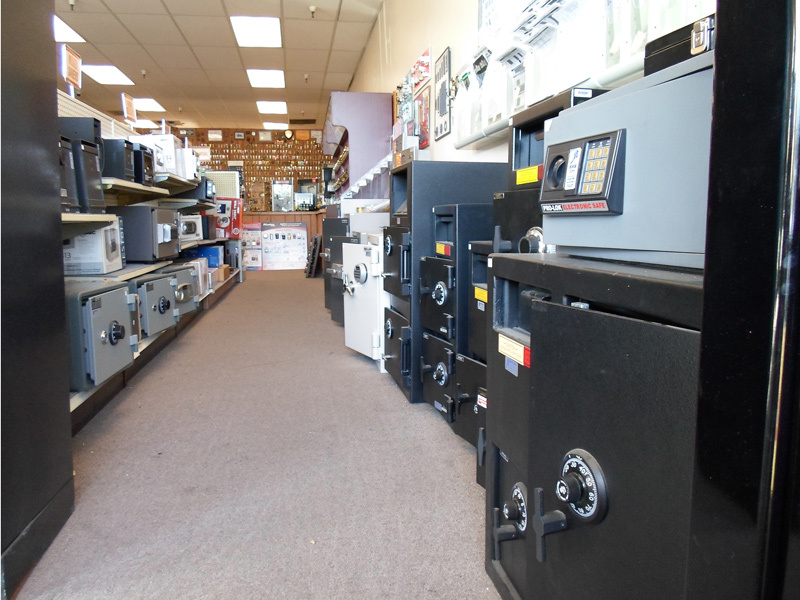 We have a huge selection of safes in our very large showroom. There are over 90 safes in our display, visit us today to select the safe that is right for you. Safes available to the public at contractor pricing. Copyright © 2019 Kwik Key Lock. All Rights Reserved.